The following table shows Pottinger’s calculated probability of ASX 200 boards achieving the given percentage of female directors in 2050. To put this into perspective, just 18.2 per cent of directorships on ASX 200 boards are held by women. This compares to Norway which has 40.5 per cent women in board positions across all publically listed boards, the UK at 20.7 per cent and France with 18.3 per cent. This small chance of reaching equality in the long run results from the fact that the number of female directorships is driven by the rate at which female directors are appointed. In the year to 28 May 2014, 31 per cent of ASX 200 board appointments were women. However, this is an all time high – the corresponding figures for 2010, 2011, 2012 and 2013 are 25 per cent, 28 per cent, 22 per cent and 22 per cent respectively. Even if 50 per cent of all new directorship appointments were women, it would still take about a decade for the board composition to get close to 50:50 because the average director tenure is about six years – the change takes time to work through the system. The percentage of new board appointments which are women has been very growing slowly over time. Unless this rate becomes much closer to 50 per cent than it is at present, it is very unlikely that the ASX 200 will ever see board equality. 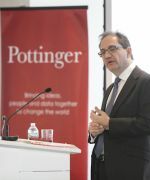 Pottinger plans to release similar analyses of board composition in other countries, in order to provide a global series of benchmarks. Pottinger Index, a division of global advisory firm Pottinger, has launched its Equality Day series of indices to bring a new level of rigour and insight to the measurement of progress towards achieving goals in relation to diversity, commencing with gender diversity. Critically, the Equality Day indices provide objective measures of both the rate of progress being made, as well as of the likely destination that will be achieved. 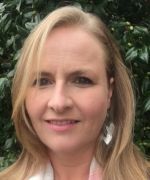 Pottinger Joint CEO Cassandra Kelly said the Equality Day Series of indices should help to move the debate on diversity forward from how greater diversity might be achieved to ‘how much’ and ‘by when’. “Ultimately the end destination is much more important than how you get there,” she said. The Equality Day index for any particular group is expressed as a simple date – the date by which equality will be achieved, given current levels of diversity and the rate of progress implicit within ongoing changes in diversity. This date is calculated using highly sophisticated and statistically robust analysis – similar to the approach Pottinger used last year to forecast the outcome of the last Federal Election to within one seat - more than three months ahead of the election. This approach enables Pottinger to estimate the likelihood of other compositions being reached (25 per cent, 40 per cent etc) by a particular date. For more information on how the Equality Day indices are calculated, please visit www.pottingerindex.com. Pottinger is a global advisory firm headquartered in Australia and operating globally. We specialise in helping companies and governments to achieve transformational change or growth by combining the best of strategic consulting and investment banking skill sets. We are differentiated by our culture of ethics, long term thinking, and by our pioneering application of leading edge statistical analysis techniques to boardroom decisions. We have built an exceptional track record, cutting through uncertainty to bring insight and clarity to the most critical and complex decisions.